Guam Gymnastics Federation (GGF) is the official governing body for Gymnastics in the Guam. GUAM GYMNASTICS FEDERATION – THE STORY SO FAR…. Gymnastics has been a popular sport in Guam for quite some time now, with the current owners of Guam’s first gymnastics club celebrating their 10 year anniversary in 2017. The Guam Gymnastics Federation, established in 2015 now has member clubs that include dance and gymnastics clubs that regularly compete on and off island. There is also a recreational gymnastics program at the Guam naval base. 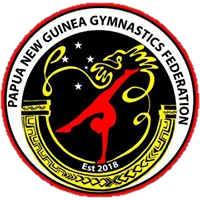 Since the first Oceania Gymnastics Development visit to Guam in 2015, Gymnastics Australia experts have been providing support to coaches, judges and gymnasts including video feedback and analysis of skills and routines in preparations for competitions. Guam gymnasts aspire to compete at International Gymnastics Federation (FIG) events including World Championships and the pinnacle of all events – the Olympic Games. Guam Gymnastics Federation is working towards gaining membership of the Guam National Olympic Committee in order to secure FIG membership.